The report is now available for the European context and in 7 additional languages! 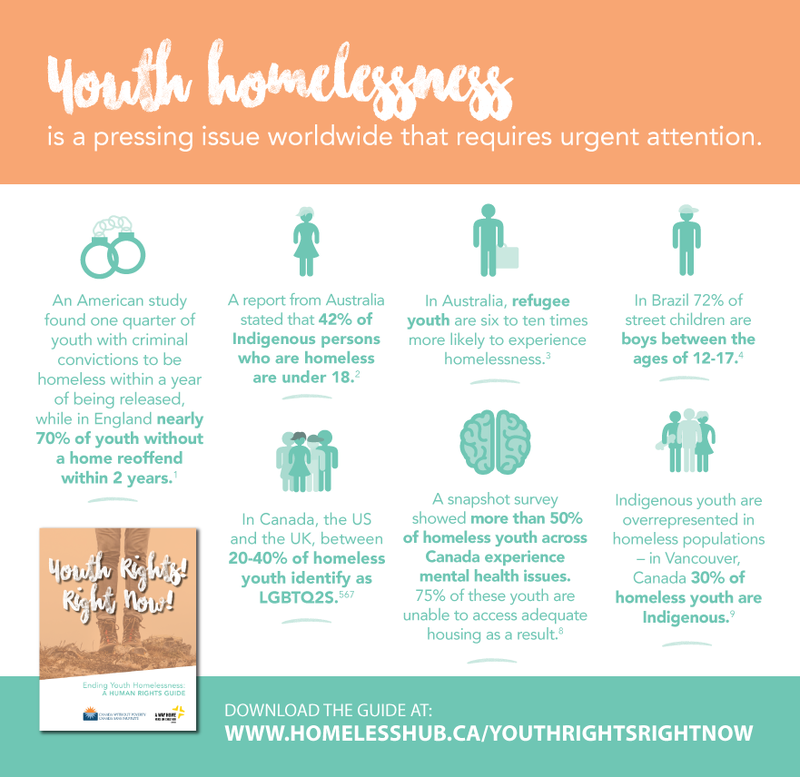 Youth homelessness is a pressing issue worldwide that requires urgent attention. To help address the issue, a collaborative group of organizations from Canada and Europe have developed Youth Rights! Right Now! 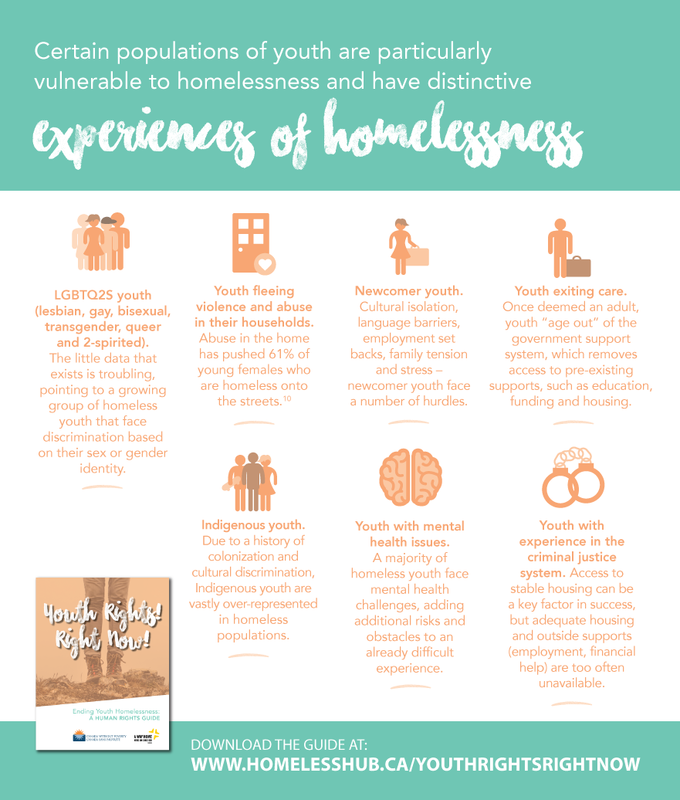 Ending Youth Homelessness: A Human Rights Guide for grounding strategies to end youth homelessness in international human rights law. 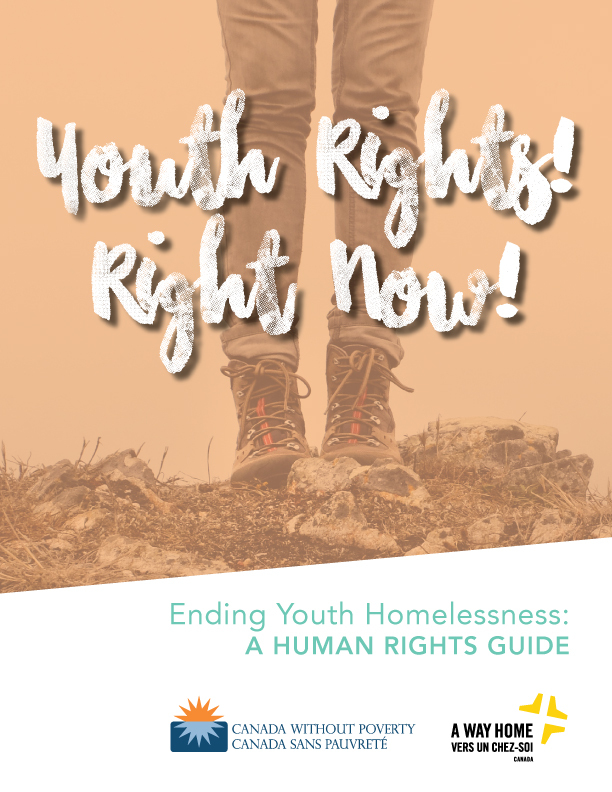 The guide, based on research, consultations, input from youth and the expertise of the United Nations Special Rapporteur on Adequate Housing, Ms. Leilani Farha, argues that all young people have a fundamental, legal right to be free of homelessness and to have access to adequate housing.